The Salisbury Farmers Market will open Monday, June 3. The hours are 3 PM to 6 PM at the Town Hall on Route 4. We won’t be open on holidays that fall on Mondays. We will have some new vendors this year as well as the ones we have had in the past three years. There will be vegetables as well as starter plants, bead jewelry, woven items, silk items, handmade wooden spoons and more, jams and jellies, maple syrup and honey. 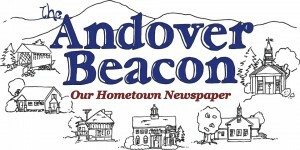 If you would like to be a vendor, please contact Helen Binette at 603-648-2156.